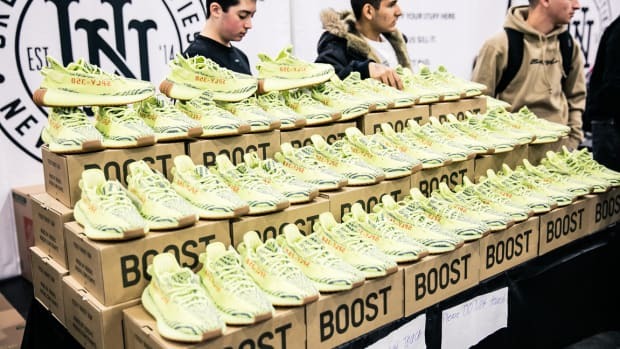 The Brooklyn Museum launched its latest exhibit "The Rise of Sneaker Culture" this week, on view until Oct. 4 and curated by Toronto’s Bata Shoe Museum Senior Curator Elizabeth Semmelhack. To celebrate its opening week, the museum hosted "Sole Sister Revolution," a conversation between professional women who not only share a love for sneakers, but also recognize the “purposeful emphasis of sneakers as expressions of masculinity,” as mentioned by Brooklyn Museum curator, Lisa Small, during the discussion’s introduction. The panel included Sophia Chang, an illustrator and designer whose work has been commissioned by Puma; Susan Boyle, owner of Brooklyn-based sneaker boutique Rime, as well as the first non-designer woman to collaborate with Reebok; fashion designer April Walker, and sneaker collector-slash-vlogger Sole De Vida. Moderator Sean Williams, host of the online show Obsessive Sneaker Disorder, posed topics and questions on the lack of female sneaker designers, the overlooked female sneaker consumer, and proposed possible solutions. “There is so much cool stuff for guys and it doesn’t come in our size. Or if it does, they’ll take something out and tweak it a little different, use cheaper material, or change the silhouette. 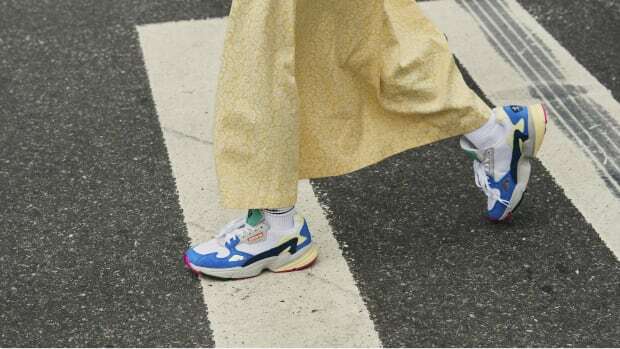 They’re not thinking about us, who we are, and I think that’s one of the biggest problems we have,” said Boyle, who voiced that sneakers for women are often an afterthought by most major brands. 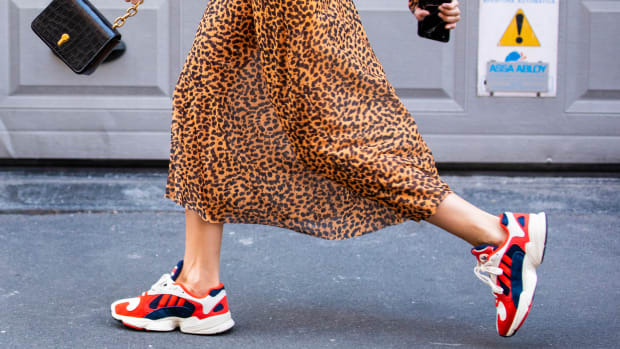 Although Chang mentioned that labels are making strides with celebrity endorsements (Rita Ora for Adidas, Rihanna for Puma) and high fashion collaborators (Stella McCartney’s longtime range with Adidas, Sacai’s groundbreaking capsule collection with Nike), these companies are still lacking in the endorsement, marketing and storytelling of a female athletic shoe by a woman who&apos;s truly excelling in her sport. “Kobe [Bryant] has a story, LeBron [James] has a story, and they put the work in to relay that message to consumers. There is none when it comes to a female shoe,” said Walker. Serena Williams actually debuted her new NikeCourt Flare sneakers at this year’s Wimbledon (Nike has endorsed her since 2003). The design features an ankle cuff taken from Bryant’s signature shoe line. According to Sports Illustrated, her shoe story isn’t complete without a nod to other athletes — that have nothing to do with tennis. Casual fan or not, since 2011, Moore has yet to release her own Jordan Brand sneaker for consumers. If you visit Nike’s website right now, you can purchase a Lebron or Kobe sneaker in the women’s basketball shoes section instead. As for a solution, Sole De Vida and Walker believe these Fortune 500 companies need more females involved — not just through endorsements and collaborations— but also at the executive level. Perhaps we can start with Adidas. The result is 10 new takes on the iconic sneakers.